Mable is our three month old Basset Hound puppy that we adopted from the Humane Society a couple of weeks ago. She was a high interest puppy and we knew we had to act quickly to get her. Adopting a dog is something my husband and daughters have been wanting to do for quite some time and now that we've moved into our new home, it was just a matter of time to find the right dog for us. We debated for months over Shelties (Josh), Chihuahuas (girls), and Boston Terriers (me) until finally settling on a Basset Hound. Mable's ears and paws are about five times too big for her body and she's clumsy as can be -- but a sweet, sweet girl. Even our cat, Grimm, seems to be getting used to her and we're well on our way to being fully crate trained. I have to admit, I have forever fantasized about the idea of sipping sweet tea while my hound dog lazily slept on my front porch at my feet. 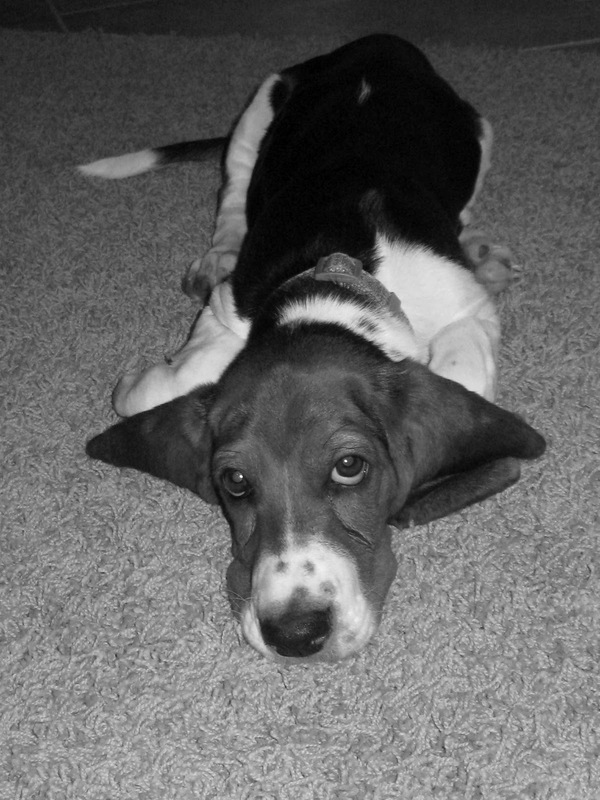 I'm very quickly learning... Basset Hounds aren't that lazy... especially puppies. Hounds do symbolize a lot about the south to me and another reason I'm so happy with our choice. Mable's got the saddest eyes I've ever seen but I absolutely love her old soul.